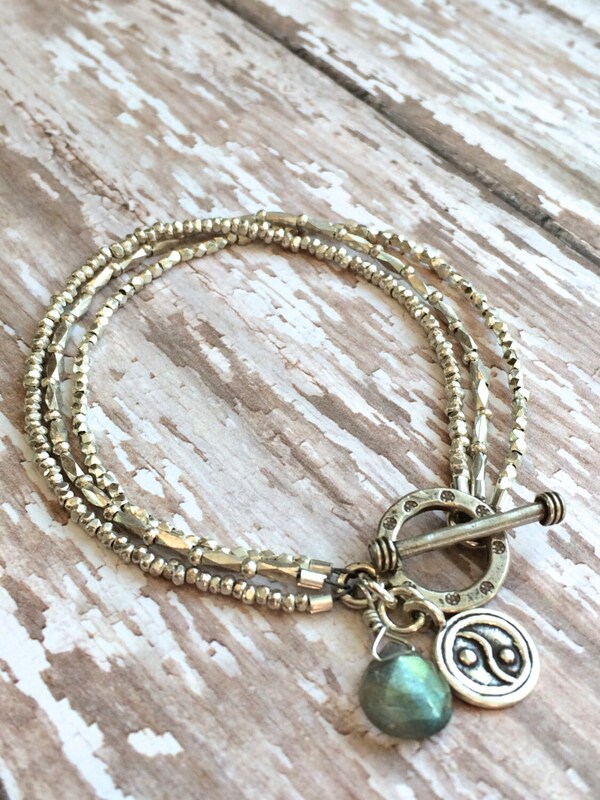 3 strands of tiny silver beads encircle your wrist in this lovely toggle bracelet. 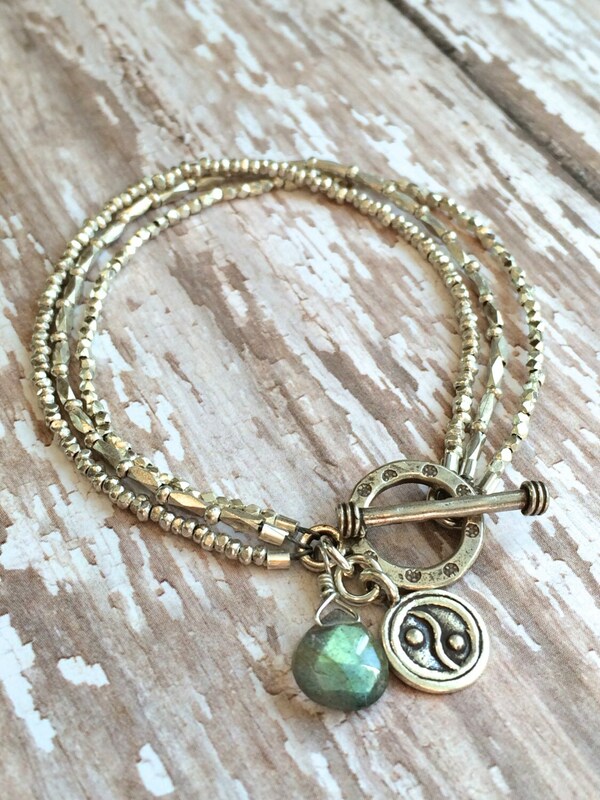 This bracelet uses Thai silver, which is 99.5% pure silver. It has a wonderful patina that improves with age. 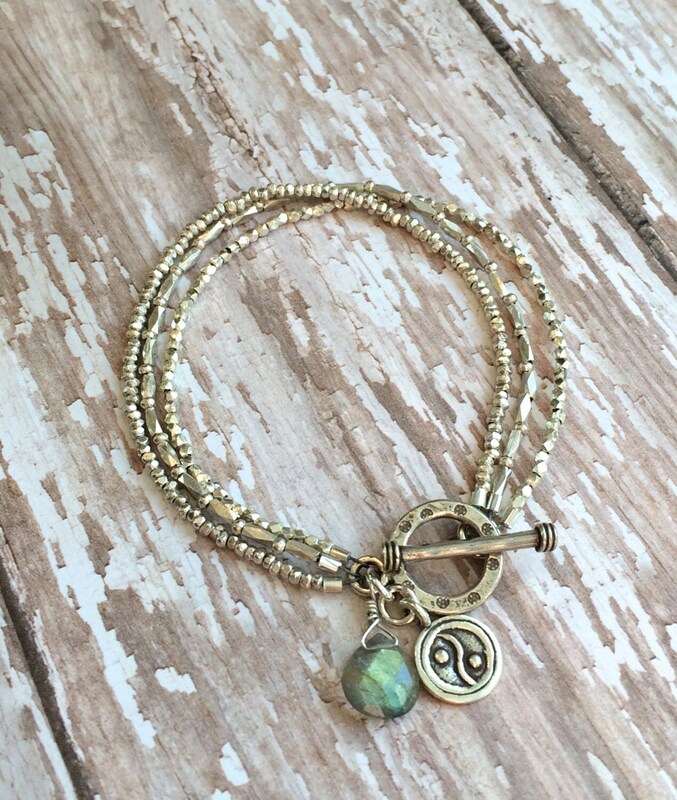 Each strand is slightly different, giving it a wonderful artisan feel. 2 charms finish the bracelet with a little bit of flash. 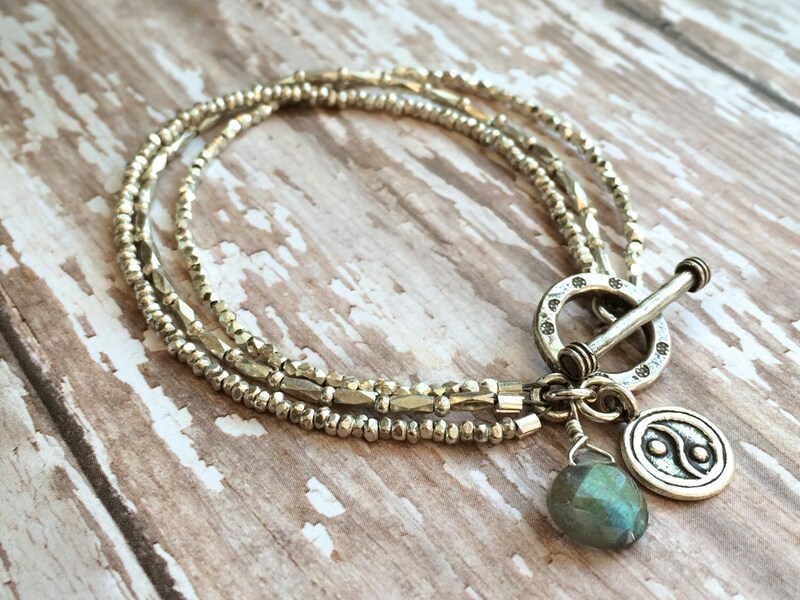 A iridescent labradorite gemstone dangles next to a Thai charm of yin and yang. Be sure to indicate the desired length.